Caterpillar Inc. (NYSE:CAT) announced late on Friday that it will take a charge of $580 million related to accounting fraud at a recently acquired Chinese company. 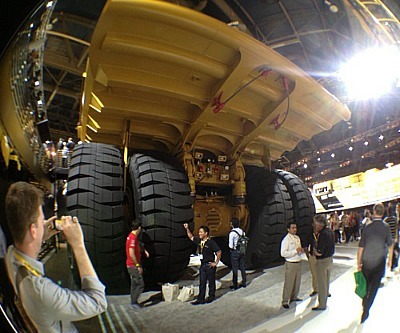 Caterpillar – the world's largest heavy equipment manufacturer – said it was writing down 87 cents a share in the fourth quarter – almost 10% of its expected 2012 earnings of $9.10 a share. The company is also getting rid of the senior management of Siwei, a division of ERA Mining Machinery, which Illinois-based Caterpillar acquired in June last year for $650 million. “The actions carried out by these individuals are offensive and completely unacceptable. This conduct does not represent, in any way, shape or form, the way Caterpillar does business or how we expect our employees to work”. “Despite these actions we continue to believe that the Siwei acquisition is well aligned with our strategy to expand our role as a leading equipment and solutions provider for the Chinese coal mining industry,” said Steve Wunning, Caterpillar group president with responsibility for Resource Industries. “We intend to utilize Siwei roof support products and manufacturing capabilities, combined with Caterpillar’s strong commitment to technical innovation and safety, to help our mining customers in China become more efficient and safer within their mines,” Wunning added. Caterpillar on more than one occasion last year had to cut back earnings estimates due to reduced orders in the construction and mining sectors – particularly from companies doing business with China.